This motif is a real touch of the winter. Make a beautiful craft project following any of our free video tutorials. 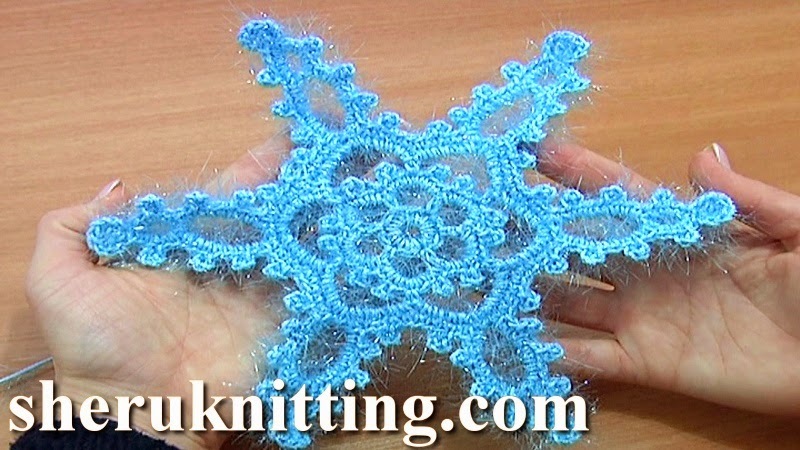 This beautiful crochet snowflake pattern will be a great decoration for your home. In this part we begin to crochet the snowflake starting from the very first stitch. After we`ve completed the center that is surrounded with picots we start making a pig segments of the snowflake. Continue in part two of the same tutorial. Thanks for watching!